Indulge in one of our mouth-watering afternoon teas in the luxurious surroundings of The Olive Tree Garden Room or historic Manor House. 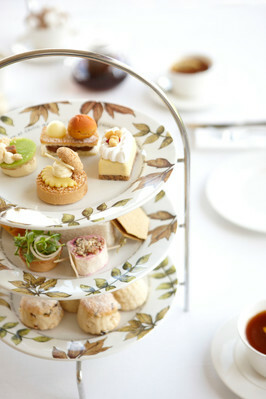 I am most disappointed with the confusion cause on the day of our afternoon tea with the head waiter almost over charging us by £40. Service at the table was good but when asking for more refreshments tea/coffee, used cups and tea pots were left on the table instead of removing! Very good afternoon tea with my grandma! Thank you to Custodio, Boril and Catalina! Afternoon was fabulous as were the staff. Thank you for a lovely afternoon once again. Loved the afternoon tea! Service wasn't really anything special. The food was great though and attention to detail with the food was second to none. 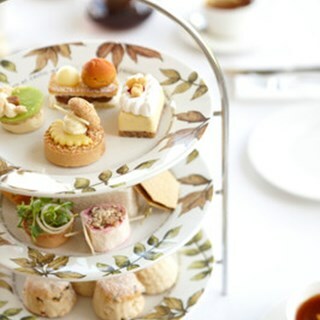 The quality of the Afternoon Tea was excellent and on a par with the award winning Landmark Hotel in London which in itself is quite a compliment. The staff were very attentive and friendly without being intrusive. The quality of the cakes and patisseries was exceptional. We will definitely be back. Well done to Celtic Manor ! The afternoon tea voucher was a Christmas gift from my son and the first time for me to visit Celtic Manor. The Garden Room is a fabulous venue especially on such a sunny Easter weekend. The perfectly cut sandwiches and yummy bite size cakes were a treat to the eye as well as the tummy. The staff were friendly and welcoming. I would most definitely like a return visit soon. Perfect afternoon - service was impeccable - food was delicious - excellent value for money - the only change I would suggest is maybe to have the hot water to add to the tea pot as the tea did become quite stewed. Great choice of cakes and sandwiches. One of the best afternoon tea's I've had! Not as good as i remembered. Children's menu limited, cheese and ham sandwiches. Rich chocolate/fruit cakes they didnt eat. Not as nice as our last visit. Children didnt seem welcome. The food was lovely however the experience was a let down. It was OK nothing special the sandwiches were a bit boring if anything the tea to drink was very nice though. A voucher was given to me as a present. I thoroughly enjoyed the experience. Everyone was so helpful and friendly. Excellent in all areas. Really Wonderful Fresh Selection of treats and Service was Fantastic, it was my Mother's Birthday and they really made her feel special with a Complimentary glass of Bubbles and Birthday Cake . Would most definitely reccomend. Despite the fact that I booked the table for 1500hr, the food didn’t get delivered until 1600hr, which was 50 minutes wait from the time the food was ordered. I hadn’t eaten anything prior to my afternoon tea and later that day started to feel really not great. Completely agree this could be from anything it’s just unusual how I hadn’t eaten previously and I came away and later that day feeling unwell. Sandwiches the bread seemed stale and cakes and scones was just ok..
We love coming to the Celtic Manor and we have been for multiple different afternoon teas through the years but the quality of the food just doesn’t seem to be there. An absolutely wonderful afternoon as a surprise for my friends birthday. Atmosphere, venue, food and service was all amazing and will definitely come again. Thank you.